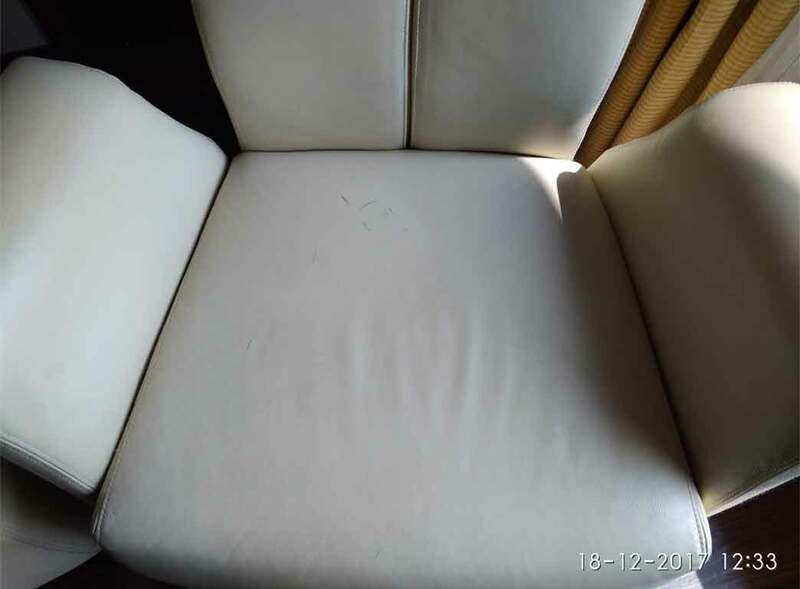 The surface of this chair is covered with pen marks. These stains will not come out with water and using a detergent will cause discolored patches on the surface. 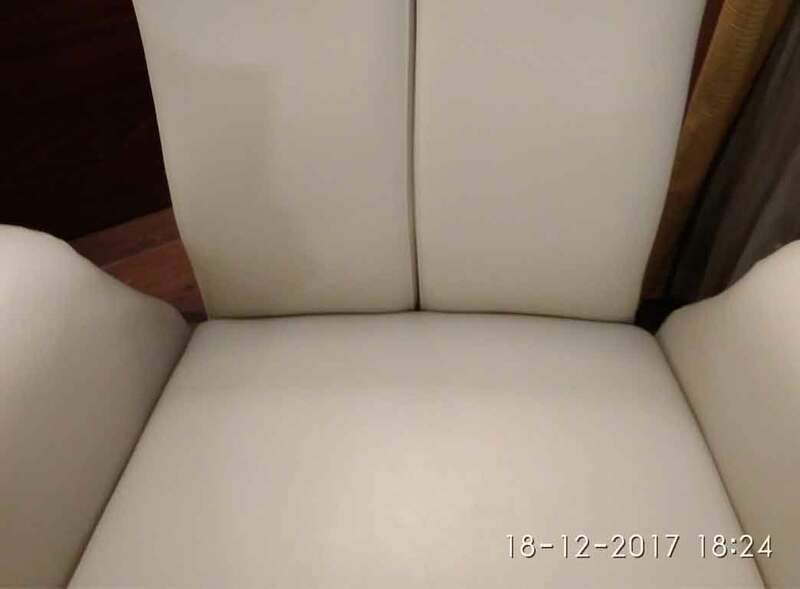 Color Glo has removed all the ink stains as well as restored the original color of the chair. The chair looks new after Color Glo’s touch.